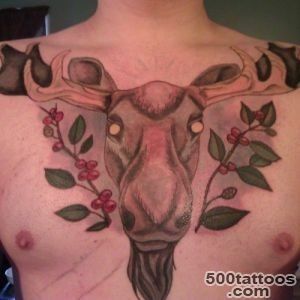 Moose for centuries considered a symbol of male energy . 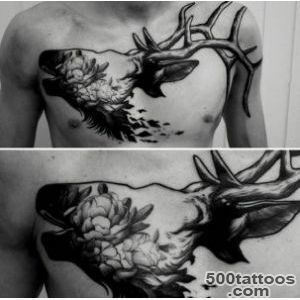 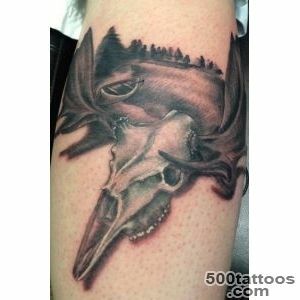 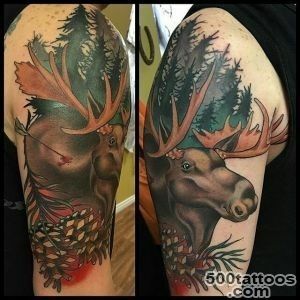 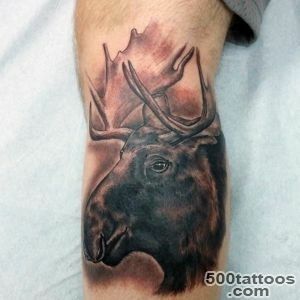 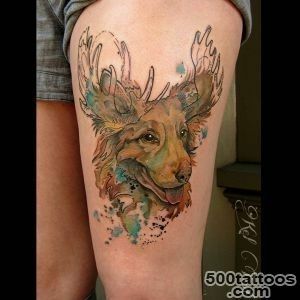 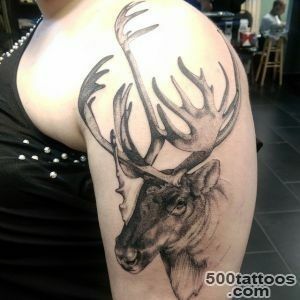 Therefore, a tattoo with the image of an elk is considered masculine and it is almost never chosen girl . 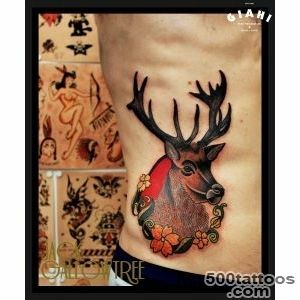 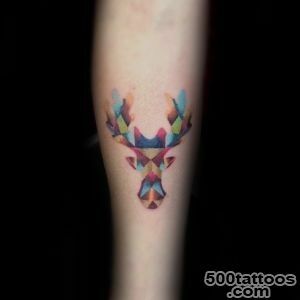 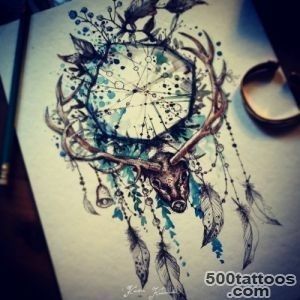 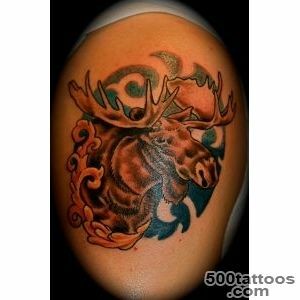 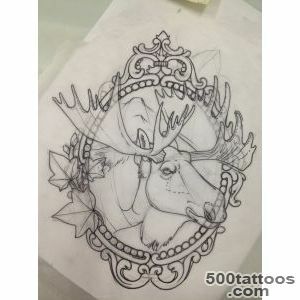 Tattoo elk - a powerful amulet and a talisman that helps its owner to achieve complex goals to go through. 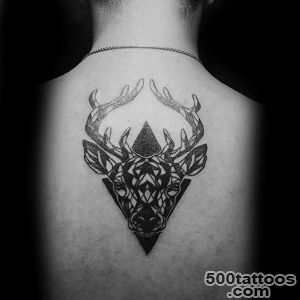 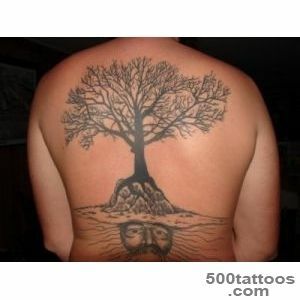 This tattoo can afford not everyone - it is a strong symbol of the pagan ,which is suitable only really strong spirit personality. 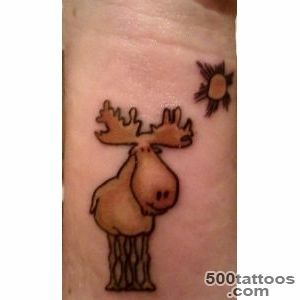 Moose - are very social animals . 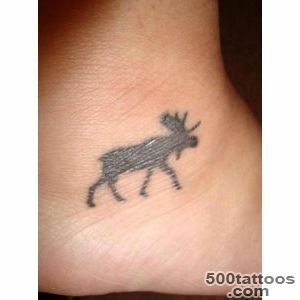 Usually they live in herds , females separately from males , but in the mating season , males create their own harems . 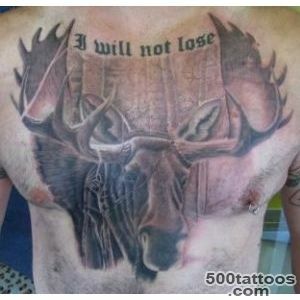 This is the only time they show to each other 's aggression . 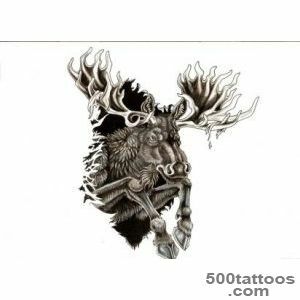 In Celtic culture elk - a symbol of spiritual protection .It protects people from evil spirits and inspire the courage of the unknown . 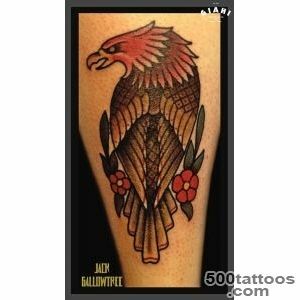 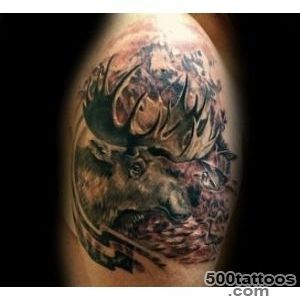 It also symbolizes stability, fortitude , strength, pride and greatness. 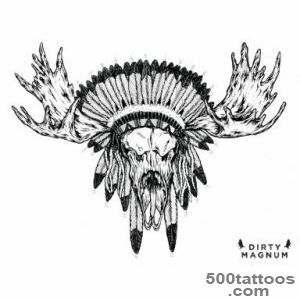 In American Indian culture elk - a symbol of speed , freedom , generosity and energy balance. 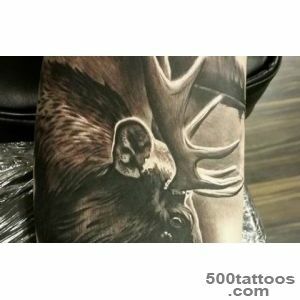 According to Indian legend, the mountain lion heard the nearby elk blows . 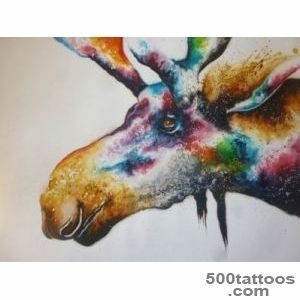 He started to walk in circles ,picking up closer to Los . 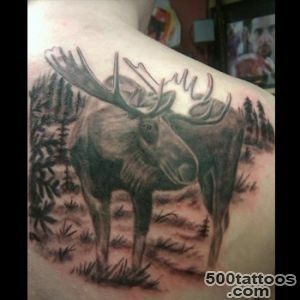 But Moose noticed him and began to run . 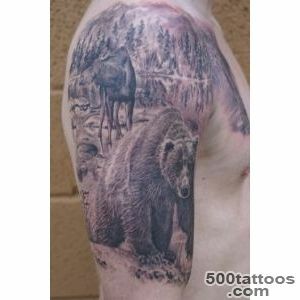 Eventually , Mountain Lion surrendered . 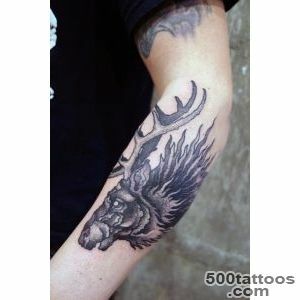 Trying to cut and leaping over boulders , he spent all his energy . 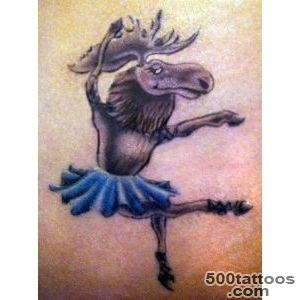 A Moose , reaching the level ground , quickly fled . 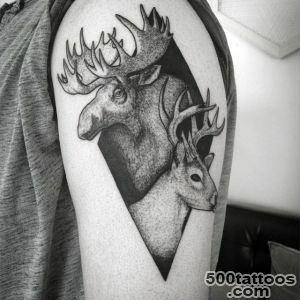 Elk teaches us that increases endurance ,if we do not lose heart , even in difficult times : the energy of the body is in balance , and it never gets tired . 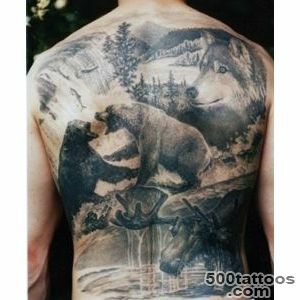 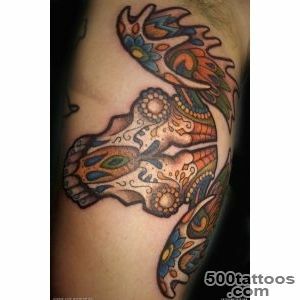 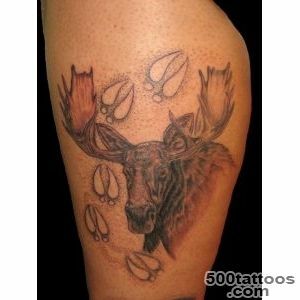 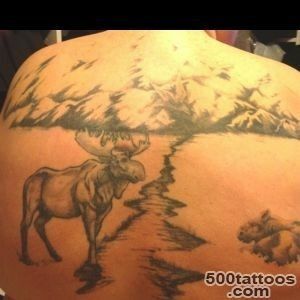 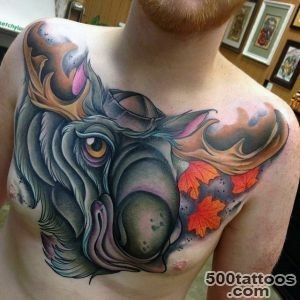 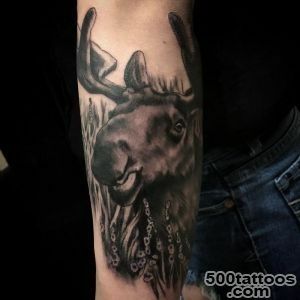 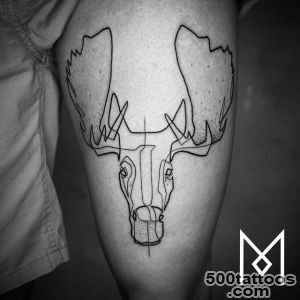 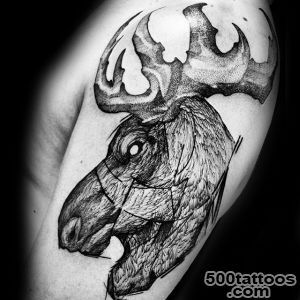 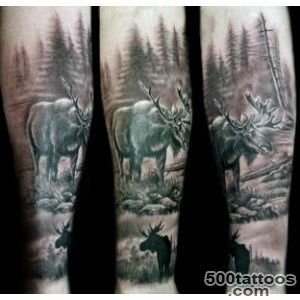 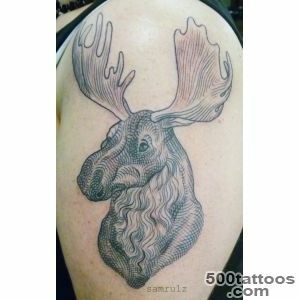 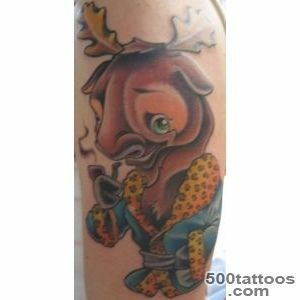 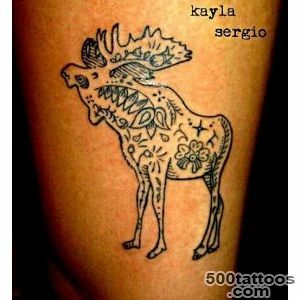 Tattoo moose suit proud and strong personalities , people who seek power . 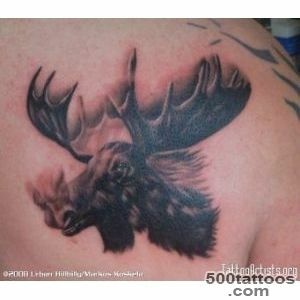 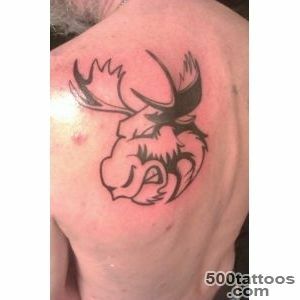 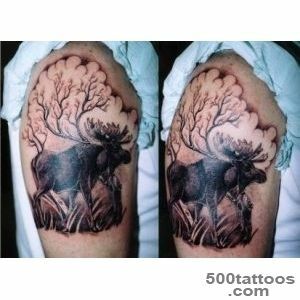 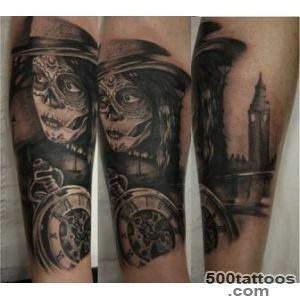 Moose will share with you the stamina and confidence sebe.V because of its symbolism tattoo moose more suitable man .